The HP Pavilion 15-aw068nr offers the latest AMD processor and a responsive touchscreen display, but the non-user accessible 4GB of RAM limits the multitasking performance of this laptop. The HP Pavilion 15-aw068nr is a bestselling 2016 all-purpose laptop that has been praised for its 7th generation AMD processor, its touchscreen display and for its ample storage space. 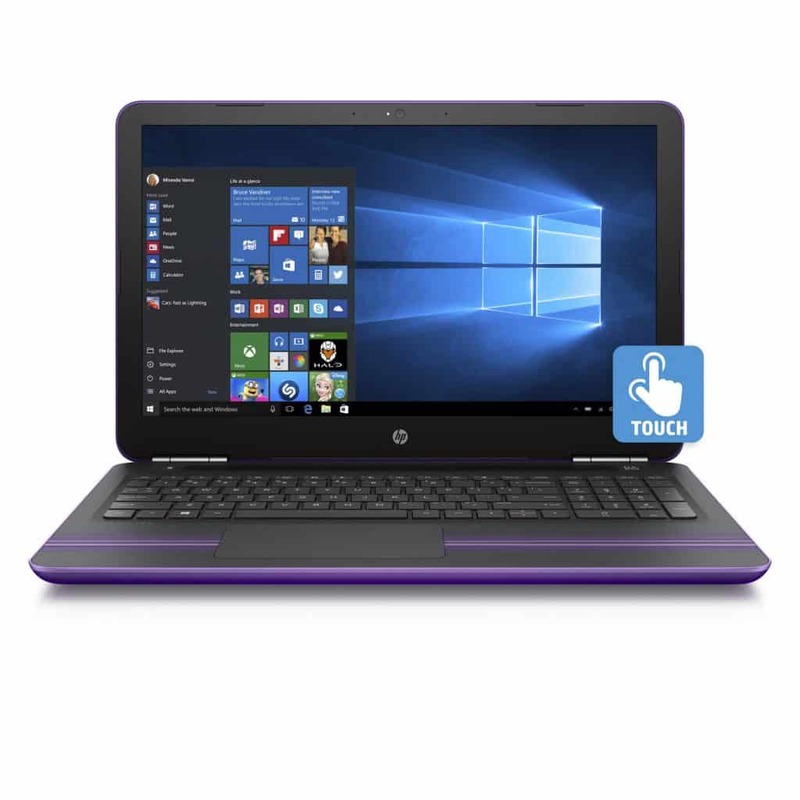 But the purple color is not for everyone and the lack of next generation ports for a 2016 laptop is a drawback for future proofing. The 1TB mechanical hard drive offers ample storage space, but will mean slower Windows boot and app loading times. The battery life is just above average and the HP Pavilion 15-aw068nr will offer over 6 hours off of a single charge.